will be override by function sfx()! will be override by function sfx1()! Our Category MINI & CARS Mini car rentals we offer different brands of cars designed for urban environments. The types of cars: Chevrolet Spark, Toyota Aygo, Citroen C1, Peugeot 107. They are equipped with gasoline engines 1000 cubic centimeters. 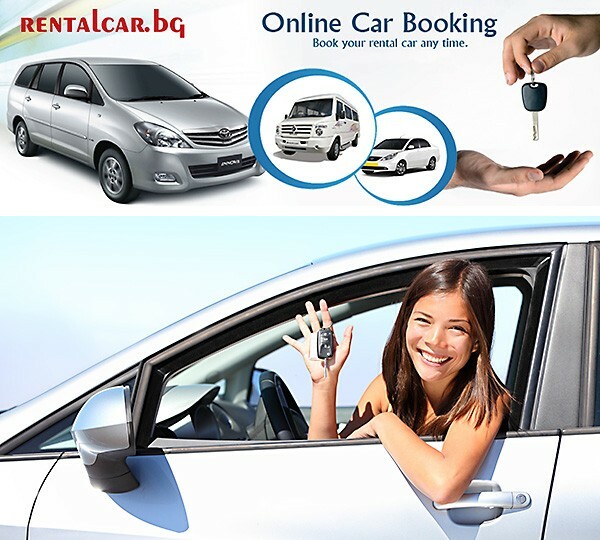 Our Category ECONOMY & CARS Economy class car rental is the - often preferred and universal category cars. In our company it is presented on several different brands and models of cars with engines 1200 - 1300 cc petrol and diesel engines. Our Category COMPACT & CARS Compact category rental cars from Valeria Car Rentals has variety of cars and models with engines from 1500 to 1800 cc. The rental cars are hatchback or sedan. They have much bigger luggage compartment then the economy class and the horse power is over 100. Our Category STATION WAGON & SW Station Wagon category comes from Valeria Car Rentals Bulgaria with several different models of Renault, Dacia and others. Characteristic of this class is that the trunk is huge and suitable for families with lots of luggage and for corporate clients. Our Category STANDART & CARS Standard category car rental in Valeria Car Rentals Bulgaria includes cars from various makes and models with engines over 130 horsepower, mostly sedan with gasoline and diesel engines. Cars are large, comfortable, equipped with many extras for the model and enough luggage compartment. Our Category VAN & 6(8)+1 Van category consists of various brands and models of SUVs (minibuses) divided into several sub categories. All these are managed with driving license category B - ie does not require a higher category than usual. Our Category SUV & 4x4 SUV (4x4) category car rental in our company Valeria Car Rentals has several categories vans. Characteristic for them is that they are all with automatic transmission, diesel engines and four-wheel drive. We offer cars with 5 and 7 seats. Our Category EXECUTIVE & CARS Executive category-luxury car rental we have several prestigious brands and car models with high level of equipment, which satisfies the most - demanding clients. Requirements are as follows: Mandatory presentation of a credit card, deposit for the rented car and compulsory reservation. Mini car rentals we offer different brands of cars designed for urban environments. The types of cars: Chevrolet Spark, Toyota Aygo, Citroen C1, Peugeot 107. They are equipped with gasoline engines 1000 cubic centimeters. Valeria Car Rental Company is member of Val & Kar Rent a Car group of companies and it is one of the first rent-a-car firms in Bulgaria and has been successfully operating for over 20 years. We pride ourselves on providing a large variety of rental vehicles for any occasion. Valeria Car Rental's main office is located in Sofia, Bulgaria, yet you can count on us to deliver service in several other cities. Having the right car for Sofia is crucial when you're visiting Bulgaria for business. Valeria Car Rentals can be your best ally when selecting your car. Not only we will provide you with the most cost-effective solution, but we'll ensure that the car choice matches your needs and demands. Additionally, we offer long-term car rental contracts which are the perfect choice if you need to spend more time in Sofia and would like to take advantage of your weekends to explore more of Bulgaria. Working in the car-rental industry for so many years we know the importance of making the most of your holiday. This is why we've created local offices in both Bulgarian sea capitals - Varna and Bourgas. Whatever vehicle you need you can count on us to deliver it at your very place of arrival so you don't waste precious minutes. You can request your rented car at either airport (Sofia Airport, Bourgas Airport, Varna Airport) or pick it up from a convenient for you location. As it is becoming widely known Bulgarian mountains have some incredible sceneries to offer to hiking newbies or experienced mountaineers. To accommodate the needs of those explorers we offer a wide variety of cars perfectly suitable for winding mountain roads and any weather conditions. If you need to reach the 7 Rila Lakes, the beginning of the Musala hiking path, or the Rhodope Mountains we'll provide you with the most suitable car for your trip. Travelling with a large group of friends? Don't separate - spend every minute together and create unforgettable memories. To ensure you can easily achieve this Valeria Car Rentals offers a selection of vans for up to 9 people. Pack your luggage, gather your friends and we'll ensure your van will help you multiply the smiles on your faces while you enjoy the beauty of Bulgaria. Valeria Car Rentals is one of the few companies which offers undoubtedly the best services for explorers who can't be limited by borders. Whether you'd like to see Bulgaria & Romania, travel to Greece, explore Serbia, Montenegro, Macedonia, or Albania you can contact us and rest assured we'll help you choose the most perfect car for your Balkans trip. Planning on spending more time in Bulgaria and want to avoid the limitation of the public transportation? No problem - at Valeria Car Rentals we have the most cost-effective solutions for long-term rental cars and many years of experience to serve your needs. With Valeria's Car Rentals offices around Bulgaria you can create your travel itinerary with your needs prioritized. Pick your rental car where convenient and drop it off at the best spot. Currently Valeria Car Rental operates in the following cities: Sofia, Sofia Airport, Bourgas Airport, Bourgas, Plovdiv, Plovdiv Airport, Varna Airport, Varna, Haskovo, Stara Zagora, VelikoTurnovo, Dimitrovgrad. Although the word “cheap” isn’t usually much of a compliment we stand behind the statement that we provide some of the best prices for rent a car in Sofia and in Bulgaria. If we have to be exact, we are confident that we can offer the best price/quality ratio you can find and the hundreds of customers who come back to us every year are a living proof. At Valeria Car Rentals we won't load you with unnecessary insurances. You can select your car rental insurance based on your personal preferences and your confidence as a driver.